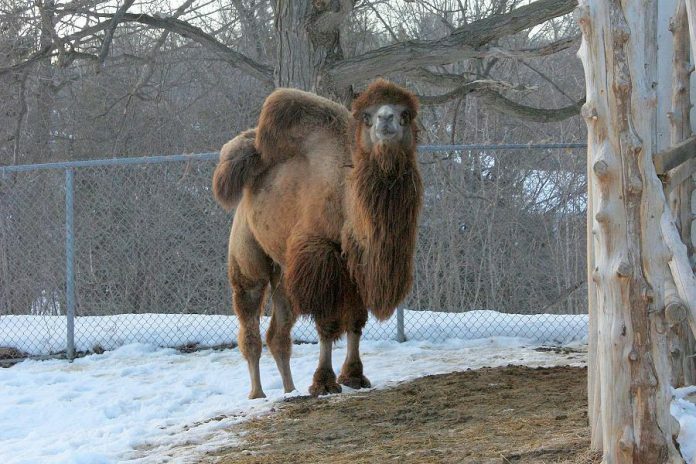 Gobi, the Bactrian camel at the Riverview Park and Zoo, has unexpectedly died at the age of 10. Gobi, who had previously been in good health, was found to be very ill when animal care staff arrived at the zoo on Saturday morning (March 23). Although the zoo’s consulting veterinarian and animal health team provided Gobi with treatment and care through the day, he passed away overnight on Saturday night. Gobi’s remains have been sent to the animal health laboratory at the Ontario Veterinary College in Guelph for determination of the cause of death. “Although he could be challenging to manage at times, Park and Zoo employees had formed a close bond with Gobi,” the media release states. Gobi’s death at 10 years old was unexpected. 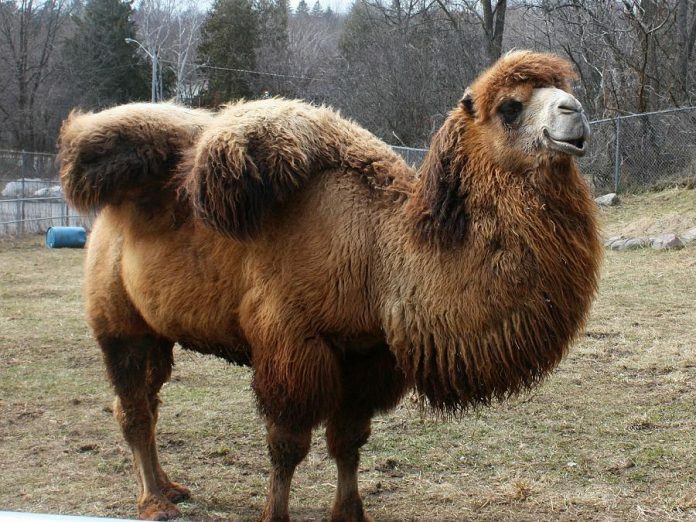 The normal lifespan of a Bactrian camel is 15 to 20 years in the wild, and 20 to 30 years in captivity. Bactrian camels are native to Mongolia and China (Gobi was named after the Gobi Desert in northern China and southern Mongolia). They are a critically endangered species, with fewer than 1,000 Bactrian camels left in the wild. Their population has been reduced by hunting (they compete with agricultural livestock for food) and because of mining and pipeline development through their habitat.